Both Mr. Cotter and Mr. Zelman are Florida Supreme Court Certified Family Law Mediators. Accordingly, they are intimately familiar with the mediation process and strategies from the standpoint of both formally trained mediators, who have conducted mediation for others, as well as attorneys representing their clients. Mr. Cotter and Mr. Zelman have participated in countless mediations over their 55 plus years of combined legal experience. The mediation process may result in a settlement without extensive litigation, and is normally required by the court prior to any hearing before the judge seeking either a temporary ruling while the case is moving through the court system, or a final hearing. This applies to new cases, as well a case involving the modification of an existing order. Importantly, this requirement may be waived by the judge if there is a significant history of spouse abuse or domestic violence that would affect the mediation process. Mr. Cotter and Mr. Zelman are both qualified and available to mediate your case either before, during, or after any litigation, as either a mediator or as your attorney, but professional ethics requirements will not allow both. In plain English, if either Mr. Cotter or Mr. Zelman has been hired as the mediator in your case, they will be unable to be retained as an attorney by either party. Similarly, if Mr. Cotter or Mr. Zelman has previously been or is currently either party’s attorney, they will be unable to be hired as mediators in your case. 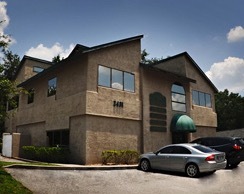 Contact our Winter Park family law mediation attorneys for more information. Provides an opportunity for cooperation between the parties. Provides the parties with the tools to structure an agreement in their and their children’s best interests. Minimizes the potentially traumatic emotional and psychological effects of the adversarial process. Helps with the exchange of information, ideas, and alternatives for settlement between the parties. Provides the opportunity for a resolution which is less expensive and time-consuming than a court trial. Results in an agreement with which the parties are more likely to comply. A particular neutral and impartial Certified Family Mediator is either agreed to by the parties or appointed by the judge. The mediator will utilize their skills to help identify and clarify disputed issues and details, explore alternative solutions, suggest possible compromises, develop bargaining proposals, and conduct negotiations in a way that prompts discussion and cooperative communication, and manages conflict to maximize the possibility of reaching a settlement. It is important to understand that the mediator does not make decisions or rulings like a judge, but helps with the parties’ own decision-making processes. If an agreement is reached as to any or all issues, the mediator will typically draft a memorandum of understanding to be signed by the parties and their attorneys. The parties do not have to reach an agreement on all issues. They may settle some issues and submit others to the court for resolution. Issues mediated may include custody, visitation and child support; alimony or spousal support; and division of assets and liabilities. A mediator does not replace an attorney experienced in the area of marital and family law. Each party should have independent legal counsel because while some mediators are attorneys, the mediator is not allowed to give legal advice. If both parties are aware of their respective legal rights and have been fully informed by their own attorneys, the mediation process can be much more likely to succeed. The mediator’s fee is usually quoted on an hourly basis, with an overall minimum charge. Typically, unless some other agreement is reached (or a Court has apportioned the expense differently), both parties share equally in the cost. Depending on the amount of the combined income of the parties, mediation may be available through the court at reduced costs. Contact our Winter Park family mediation attorneys for more information and assistance, we have years of experience and can help with your family law situation today.